Here is a map displays territory of Russia. Displayed town Nyuksenitsa presented. You can find here Gorodishchna free download. Zolotar' download for free. Zimnyak for Garmin. Displayed Zhar for Garmin. Zarech'ye free download. 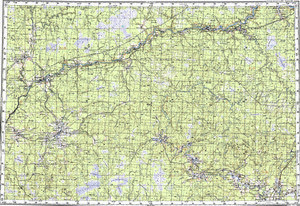 On this map Zamostovitsa download for free. On this map Zaglubotskaya free download. You can find here Yushkovo free download. You can find here Yagrysh presented. Displayed Vysokaya Griva marked. You can find here Vostroye download for free. Vostroye marked. On this map Voronikha presented. Veselkovo download for free. On this map Verkhovino presented. On this map Verkhnyaya Toz'ma for Garmin.